Carl watches from his room as Cecil leaves The Spearly Center. 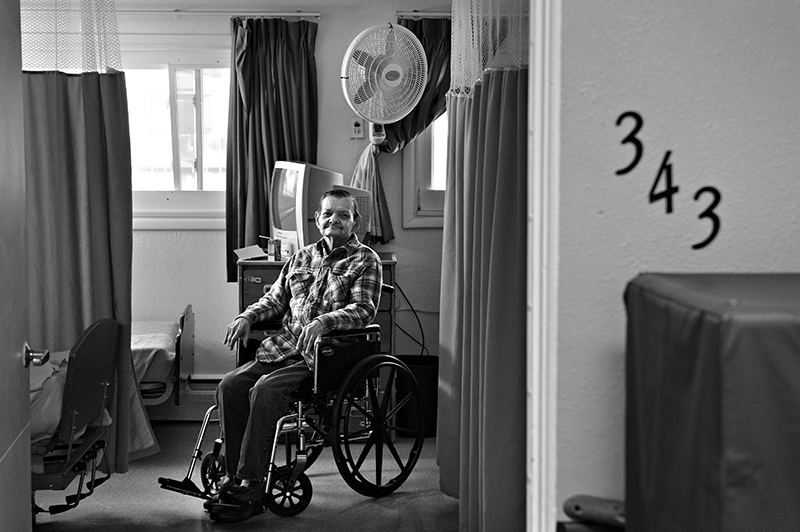 Cecil said it was incredibly difficult to turn to leave when Carl was first admitted to the nursing home. "That was terrible... when I would leave he would want to go home with me, and we would have to get the attendants to hold him," Cecil said. "That was hard. Mighty hard."